As you’d expect, there’s big support for champagne in the park — thanks to bra-maker Berlei that is. Berlei Champagne in the Park is a series of four national, women-only charity fun runs on November 14 to raise funds for NZ Women’s Refuge. Model and celebrity Nicky Watson is the ‘face’ of the fund-raiser. And she’s getting plenty of help from celebrity friends Peggy Bourne, Mayoress Diana Hubbard, Fiona McDonald, Stacey Daniels and Pauline Gillespie who are getting behind the event to help raise awareness. Supporting them all is Berlei, with a special Nicky Watson-endorsed NZ Women’s Refuge fundraising sports bra sold exclusively in Farmers stores. For every one of the bras sold — at an entirely reasonable $34.95 — Berlei is donating $5 to the Women’s Refuge. The fun runs — in Auckland, Wellington, Christchurch and Dunedin — comprise a 5km run or walk followed by the Berlei Champagne Breakfast and Prize-giving. National co-ordinator for NZ Women’s Refuge, Roma Balzer, says Berlei Champagne in the Park is an extraordinary event. 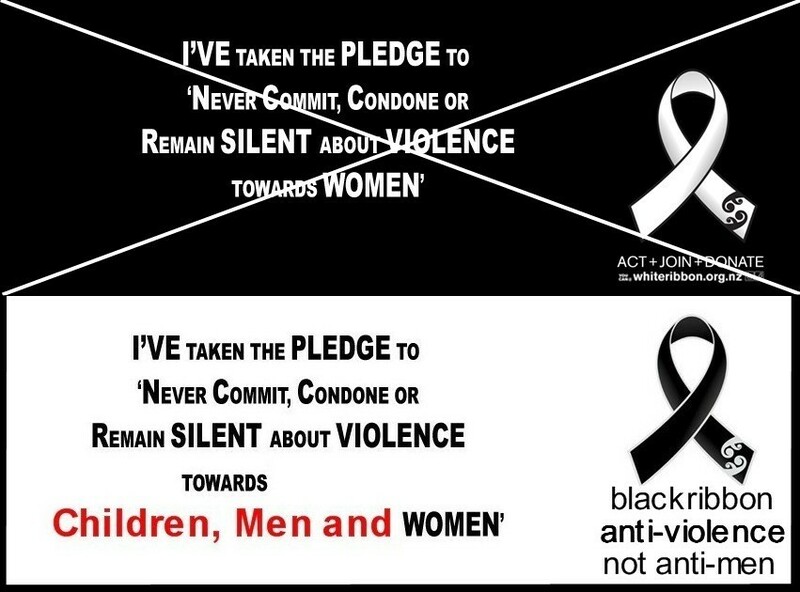 “We have received wonderful support from both the community and a number of high profile New Zealanders publicly demonstrating their commitment to stopping violence against women and children in this country. That’s the last time I buy a Berlie Bra! This picnic is certain to be an uplifting experience for many. No wonder women’s refuge need more funding: so they can afford champagne! And isn’t this run gender based discrimination? And, I concur with JohnP: GO BENDON! Perhaps “Sham-pain in the park” would be a better title and they could burn a couple of guys at the stake (effigies of course)? as i understand it the reason for gender-biased events from a female perspective is that women tend to behave differently when they are around men, and conversely, men tend to dominate women when argument, discussion, and debate is concerned. this is mostly to do with the established male gender role, which says that men are more rational than women, and women are more emotional than men. as a guy i’d like to think that i could be less rational and more emotional at times. it can be very hard not knowing what you feel sometimes. i can work out what i /think/, that’s easy. but if i have to deal with what i /feel/, not only is it very difficult, but there are no positive male gender models that demonstrate to me how to do it. oppression of men is created by men. I don’t actually have a problem with it being a gender-only event Damian, it’s more that I think the Women’s Refuge has contributed more to the destruction of families than any other organisation in this country, and I don’t like to see it gaining ever more respectibility and power. would it be naive of me to ask how so? Attend or start a support group for men and you’ll soon find out what I mean. You could also try the search box at the top right of this page. i’m reading, but i don’t see how women’s refuge has ‘contributed more to the destruction of families than any other organisation in this country’. the offered solution of ‘church groups’ in one of the articles i read isn’t much help when a) churches are predominantly run and organised by men, which if i was a woman who had been beaten by her husbard/boyfriend would be the last gender i would want to deal with, and b) most of our population self-identifies as basically atheist anyway. i’d say that the underlying negative connotations which remain about divorce and children outside of marriage (these are pre-feminist connotations, note) have contributed much, much more to the breakdown of families in divorce situations than women’s refuge ever could. these connotations and the assumptions underlying them lead us to situations in which communication (there’s that word again) collapses and restraining order laws are abused, and fathers are blocked from their children as a result. overturning the work that places like Women’s Refuge do in situations where genuine wrong has been done to women by men (remembering statistics for violence performed by men are still much, much higher than violence performed by women, regardless of who it is directed toward) is counterproductive if we are to improve communication which seems to be a recurring issue here. one of the articles i read asserts that divorce will often be dropped on men out of the blue. i’m currently reading a book called “The Inner Male: Overcoming Roadblocks to Intimacy” by Herb Goldberg which asserts that men are surprised relationships end because in their gender roles as the male side of a relationship they are basically required to miss the messages they are given. there was a belief for a while that to fix male/female relationship issues what was needed is lots of talking; this has turned out to be ineffective as the men and women involved often end up having polarised discussions relating to their gender schemas without actually communicating anything. thus they feel that everything is ok, when in fact it is not. men as socialised to stress rationality over emotionality will often not feel that their relationship is heading to a close, and receiving no rational arguments from the woman, will assume everything is ok. women as socialised to stress emotionality over rationality will feel they need to close a relationship without being able to provide a rational explanation. it’s all about genuine communication again. the types of feminism that i’m really interested in are the ones that try to deconstruct masculinity and femininity to create this idea of the democratic relationship – recognising that men and women are different but not letting that or any assumptions or gender models get in the way of the two (ungendered) people involved. We have a fem front-man in our midst. I will get in touch with my innermost feelings of utmost disgust which are mingled with some sympathy because I was a naive feminist once. I’ll now use the rational bit of my brain to tell you why I’m so sick of what you’ve offered up for sacrifice. First off John P is smack bang on target. 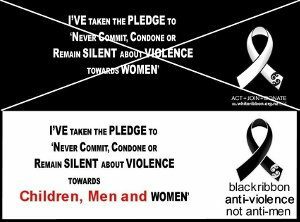 Whilst some domestic violence goes on, perpetrated by women as much as men mind you. I believe Women’s Refuge has been idiologically captured and apparently no more than a training ground for the cult of men hating currently infesting NZ. Secondly, the way you put it women are the superior communicators (in touch with thier feelings, which you say men block and so don’t hear being articulated as they’re more rational and dominating in arguments). The old men are more voiolent that women-feminist-women’s studies 101 garbage eh? Personally I’d rather face someone who’s loud, assertive and rational, than someone who’s a bag of feelings (many of which may be irrational)- I’ve done both many times. I’ve only been social working in NZ for 20 or so years. Thanks for the chance to refute down-on-men nonesense. It’s pretty clear you haven’t had much contact with separated men in distress, Damian. We are very limited in what we can publish because of the Family Court secrecy laws, but anyone who has attended men’s support groups will tell you how the Refuge opperates. “Halfway House was conceived by some Auckland feminists as being a tactic towards our liberation. Basically we wished to attack the institution of marriage and to salvage what womanity (sic) we could in the process. You mention the “offered solution of ‘church groups’ in one of the articles” – this is the opinion of one author, and does not reflect the view of most of us. I think church groups do have a role for people who are that way inclined, but I would far rather see us moving in the direction of the Australians by setting up mediation and counselling centres completely separated from the adversarial court system. These will need to be governed democratically by people who genuinely represent the values held by the majority of us. I don’t hear anyone advocating overturning work done by refuge or anyone else where genuine wrong has been done to women. The problem is the thousands of cases where Domestic Protection Orders are used strategically to remove the father from all meaningful contact with his children. You are correct that statistics for violence (of all types) performed by men is much higher, but we are talking about Domestic Violence in this context. Every properly designed scientific study shows that women initiate domestic violence slightly more than men. Around a third of all injuries caused by DV is suffered by men. The fact that many people have been led by clever propoganda to believe otherwise, illustrates exactly the problem I see with the current paradigm (ie: all men are violent and dangerous). I can confirm that for a great number of men, the DPO arrives like a bolt out of the blue. A man subsequently attempting any form of direct communication will likely get sent to prison. the types of feminism that i’m really interested in are the ones that try to deconstruct masculinity and femininity to create this idea of the democratic relationship – recognising that men and women are different but not letting that or any assumptions or gender models get in the way of the two (ungendered) people involved. However, why do you think masculinity (or femininity) needs to be deconstructed to accomplish this goal? Every properly designed scientific study shows that women initiate domestic violence slightly more than men. Around a third of all injuries caused by DV is suffered by men. i’m going to skip over the ‘what it means for a scientific study to be “properly designed” question because it’s too tangential. while women may initiate domestic violence, our legal system tends to operate on acts, not on intentions. when you say ‘women initiate domestic violence’ i assume you mean that ‘women act in such a way as to bring violence upon themselves.’ the interesting question then is when they are acting in such a way are they doing so with the desire to have the men in question act violently toward them? in other words, are they consciously and rationally asking to be beaten? i didn’t say that this was true of all women. i said that the female gender role poses women as more emotional and less rational, and the male gender role poses men and less emotional and more rational. personally i have rejected all the available male gender roles because frankly i don’t want to play any of them. if we have the definition of the term ‘violence’ expanded to include manipulation, bullying, nasty social tactics, then, probably, one could argue that women are more ‘violent’. i don’t believe that the first expansion of the term ‘violence’ is a useful one. i class being physically abused a totally different experience with totally different causes and ramifications than being mentally or verbally abused. i assume you disagree. please tell me why you think expansion of the term violence along these lines is valid. would you? lordy, i wouldn’t. i’m an excellent conflict resolver and in order to resolve conflict between two people i calm both of them down, get them to a position where neither is overly assertive and rational nor overly being a bag of feelings, and try and find some middle ground. when i’m confronted with someone who is loud and rational i find i need to pull their emotions out from their arguments. when i’m confronted with a ‘bag of feelings’ as you put it i need to pull their rational arguments out from their (irrational or otherwise) feelings. a middle ground must be reached. Have to suggest that this is a conflict you are VERY unlikely to resolve. From the penalised parent viewpoint – yes, I’m a separated Dad too – there are too many aspects of government [in the larger sense] that actively seek to fragment the family and disadvantage the Dad in favour of the Mum. Before you fly off the handle, go and read all of the Child Support Act (1991) [on the Internet] and check with the IRD that there are children of 185,000+ families disadvantaged by this law every day and, in the vast majority of cases, it is their Dad who pays [literally]. The Anti-Clark and her worshippers seek to make this situation much worse than it is now. Bring back a family friendly New Zealand! to be honest i have neither the time nor the inclination to read through the Child Support Act, but i’ll take you on your word. i don’t know why you think i’ll ‘fly off the handle,’ but don’t worry, i don’t fly off the handle, as a general rule. it’s counterproductive. i’d like someone to argue against my points wrt the definition of ‘violence’ and the ‘women are more violent than men’ claim though, please. ok, i lie. looks like my procrastination wrt my comp sci assignment knows no bounds. 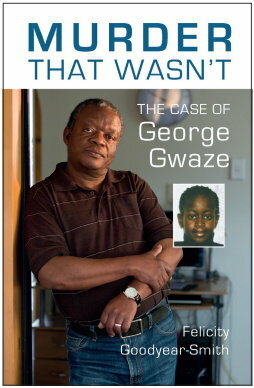 i started reading the child support act. it’s very very big, but not at all obviously (at least not to me) discriminatory against fathers. can you point me to some points of distinct gender bias? because i believe the established male gender role (and its polarised counterpart the female gender role) are responsible for most of the miscommunication that surrounds relationship break-ups. if we could free ourselves from gender roles and relate to each other as ungendered human beings first and foremost, being ‘male’ and ‘female’ only when necessary (ie the ‘true democracy of two’ idea we seem to be in agreement upon), then communication issues would, i believe, become much less of a problem, and situations where fathers are blocked from accessing their children would arise much less often. but i believe the only way to bring about this type of ungendered relationship is to confront the male gender role (and the female gender role). the best way to confront something is (i believe) to deconstruct it – to take it to bits and find out how it works, and only then, to put it back together in ways that make it better. and then to test it out and see if it works and if it’s still broken, to take it to bits and try again. I think when John says ‘initiate violence’ he talkig about women being the perpetrator of violence. You reckon you’re an excellent conflict resolver eh? Ever worked in a prison and dealt with conflict there? Ever had to seperate groups of army troopers out to do each other in? Ever had to verbally de-escalate mentally deranged folks? Ever dealt with shellshocked blind and violent 18 stone Serbs? Back to the ivory tower me ol son. There’s lots to learn before you’re released. You want to free us from gender roles. OMYGAAAAAAAAAAAAWD. LOL! Short of taking a scalpel to mens and womens brains and/or giving hormonal treatment to get them working the same way it aint gonna happen. Trust me I’ve tried to be softer and more emotive but my testosterone keeps kicking back in again and making me all over competetive and interested in technology and sport again. I’ve also waited decades for legions of chivalric women to appear unfetterd from ‘female gender role’ and save me from feminazzis and other nasties in life but thier collective oestrogenated passivity oulasted my patience. To put it another way I’ve come to accept biological determinism is much more potent than liberal studies would have me belive. So Ddconstructionism – means Foucalt to me. Pronounce it however you like. Do me a big favour. Don’t try to de/reconstruct me. Leave me alone. I’ve decided some time back I like who I am and don’t need telling who/how to be by young ideologues. I have a great idea for a prank though. Let’s assume we know enough about humans to take them apart psychologically and reassemble them (deconstruct/reconstruct) to see if we can make them ‘better’and ‘ungendered’. Highly subjective decisions as to what’s ‘better’ and ‘ungendered’ are involved here mind you. Sounds frighteningly like Nazzis trying to make a new ‘master’ race using brainwashing propoganda I know. But never mind. We’ll press on regardless and make a govern-mint to foist our plans on the unsuspecting populace we’re supposed to care for. We’ll spin it all up in hyperbole about diversity and it being for the good of people. Then we’ll see if we can win an election as the PC party. Whoops, I’m sorry I came over all aggressive and testosterony there for a moment. Don’tcha just hate being a man. It’s not an expansion to include non verbal forms of violence into the category. It’s simply a recognition with horrendous outcomes for the victims that you’re apparently naive about or in denial of. stephen, stop patronising me and engage with my arguments. Ever since I was a little boy I’ve enjoyed deconstructing various bits of equipment to try and see how it works (as us males are inclined to do). My experience is that I inevitably ended up with a lot of isolated individual parts, many of which got lost or damaged. I can’t recall ever finishing with an appliance that worked better, or one that worked at all for that matter! On the contrary, this is the pivotal consideration. Scientsts understand very well what is a properly designed study and what is not. There are defined tests in the USA courts (search on ‘Daubert’) about what constitutes scientific expertise. NZ does not have a good record in this regard – the courts accept all sorts of loonies as expert witnesses, and Cabinet Ministers quote studies that are absolute junk. The post-modern argument that there is a diverse range of truths with equal value doesn’t wash with me. If you want to learn more about the use and misuse of statistics in this area there is plenty of information on Domestic Violence here. the fun thing about deconstructing the male gender role, though, is that it’s abstract in the first place. once we’ve deconstructed it, if we can’t come up with something better, then the original is still floating around. it’s like having say ten toasters, and you can deconstruct them again and again (up to nine times) until you figure out how to reconstruct them properly. and reconstruction isn’t a necessary part of the process, either. deconstruction is more about understanding what makes something up than putting it back together again. deconstruction shows us, for example, that one of the defining characteristics of pretty much all established male gender roles is a large element of homophobia. i’m not homophobic. therefore, none of the established male gender roles fit me. but i only discovered this about the male gender roles by deconstructing them for myself. Absolutely on the button with your last posting in this thread. Goodonya. I am patronising you. I consider it’s my duty as a man who’s obviously lived and seen allot more than yourself. I’m not ashamed of that. I simply see you spouting some of the naive and denigrating superficialities about men I used to parrot when younger. You asm me to engage with your arguments. Fine. Notice the ‘you’ bit in ‘your arguments’. You aren’t divorced from your statements. Thay come from your (IMO limited) experience. Part of my engagement with YOUR argument is to acknowledge where your coming from. Call me a crusty old tosspot if you like. I missed your post. Check out the “Objects” of the act (s4 I think). Of special significance are the “benefit recovery tax” provision and the “ensuring the caregiver has an income”. This means this piece of legislation will never and was never intended to support our children. It is either (i) Benefit recovery Tax or (ii) Spousal Maintenance Tax….with a nice “child support [tax]” veneer. Also check out the Human Rights Act 1993 which makes CS “prohibited discrimination” on the basis of “family status: having part or full-time care of children”.